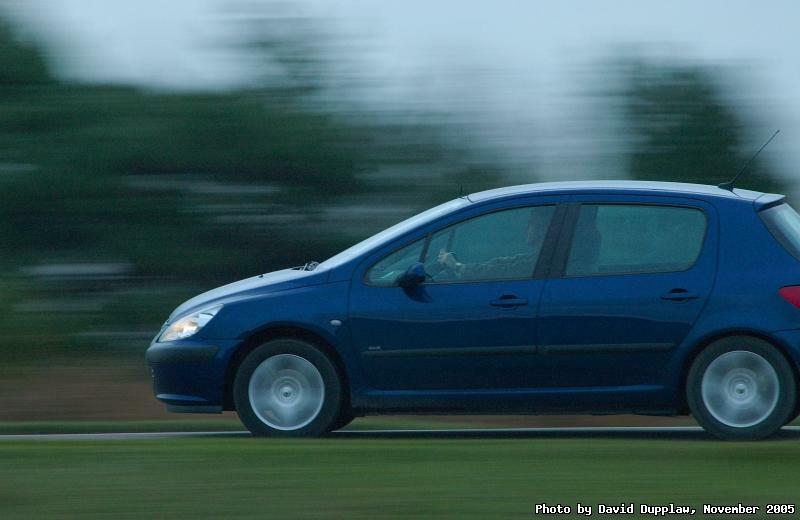 A Peugeot 207 burning along a road through the New Forest. This was merely a test of my panning technique with such little wildlife to take in Winter, my long telephoto turned roadwards. Quite pleased with how advert-like this is.